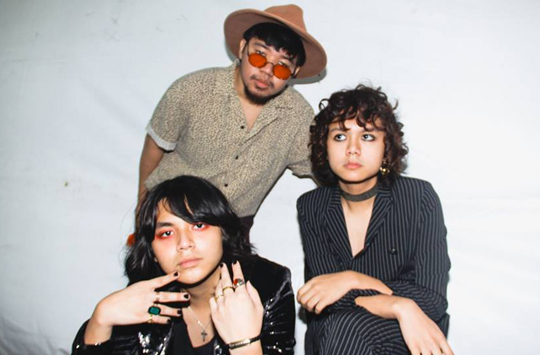 Eastwood City is welcoming 2019 with the happiest New Year party highlighted by dazzling spectacles and star-studded performances from the country’s biggest and hottest music stars. One of the most highly anticipated New Year celebrations in the country, Eastwood-Quezon City New Year Countdown to 2019 promises all out fun and happiness from sundown to sunup with the annual revelry kicking off at 6PM at the Eastwood Mall Open Park, and ending just before sunrise at the Fuente Circle at the Eastwood Citywalk. Headlining Eastwood-Quezon City New Year Countdown to 2019 are some of the biggest and brightest names in the music industry including December Avenue, Ben and Ben, Moira and Karylle. All set to electrify the countdown all the way to the early minutes of 2019 is one of OPM’s most prolific vocalists and performers, Bamboo. “It has been our tradition in Eastwood City to welcome each year in the grandest way possible. This year, we have put our most star-studded lineup of performers yet. Our goal is to really spread happiness and encourage everyone to welcome 2019 with renewed hope and reinvigorated spirit,” says Kevin L. Tan, Megaworld Executive Vice President and Chief Strategy Officer. For the very first time, Eastwood City is introducing the country’s first ‘Emoji Drop’. At 12 midnight, ‘happy emojis’ will descend upon the crowd and spread happiness and positivity for the coming year. Emojis, also known as emoticons and smileys, are images or icons used to express emotions or convey ideas in digital communication. The Emoji Drop will be set off by the Dazzling Star Drop and will kick off the grand fireworks display. An annual New Year attraction, the Dazzling Star Drop is Eastwood City’s version of the world-famous Ball Drop in New York City’s Time Square and one of the most awaited parts of its New Year Countdown. The celebration continues until the early hours of 2019 at the Eastwood-Quezon City New Year Countdown to 2019 After Party. Revelers can head over to Fuente Circle at the Eastwood Citywalk 2 and party the night away with today’s hottest DJs including X-Factor, Marc Marasigan, David Ardiente, Khai Lim and MC Victor Pring. 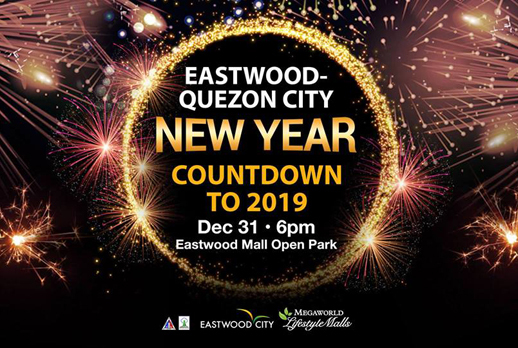 The Eastwood – Quezon City New Year Countdown to 2019 is in partnership with the Quezon City Government. Eastwood City is also offering a P50 flat-rate parking fee until 2AM for revelers joining the celebrations, while several dining establishments across Eastwood Mall and Eastwood Citywalk are now accepting reservations. For more information and restaurant reservations, please call the Eastwood City Concierge at 709-9888 or 709-0888, 0917-8380111 or visit www.EastwoodNYE2019.com.